From its origins back in Anglo Saxon Times through to Victorian times, Tamworth Castle boasts a wealth of history. Come on a journey with us and explore how the Castle developed over the centuries, from the 400s through to the modern day and learn about the families who called Tamworth Castle their home. Learn about the dastardly goings on, rumours of hauntings, along with key historical events which took place in Tamworth Castle. Whether you are beginning a research project, planning a visit or just want to find out more about our fascinating Castle, this will whet your appetite for more. 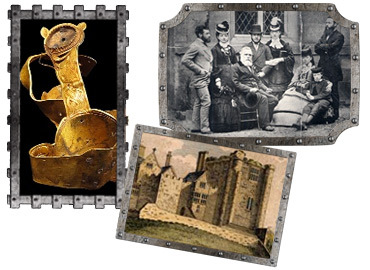 Use the links on the timeline on the right to guide you through the key periods in the castle’s life from its origins to the end of the Victorian era.